It's the perfect gift for any occasion... always in style and sure to fit! Gift Cards may be used toward lift tickets, equipment rentals, lessons & packages, passes, savings cards, programs, Snow Sports Shop merchandise and food & beverages. 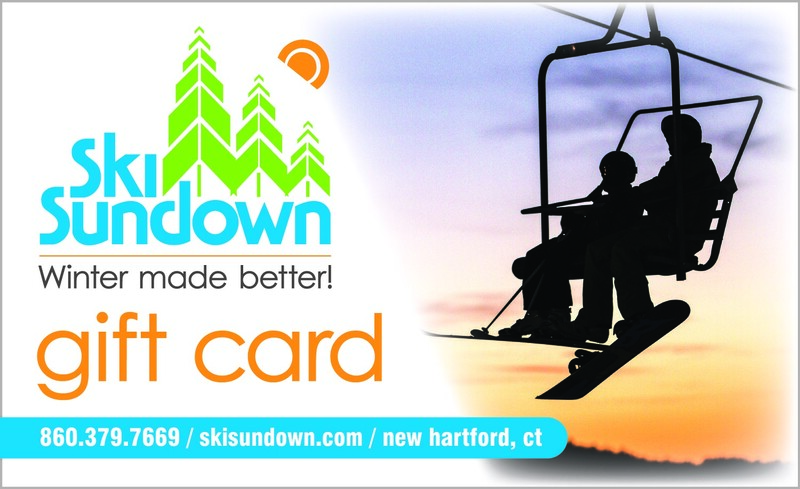 Ski Sundown Gift Cards have no expiration date. Gift Cards are shipped via regular mail (3 days). If you want the gift card(s) shipped overnight or pick them up at Ski Sundown, please call us at (860) 379-7669 x211 or e-mail us at customerservice@skisundown.com. There are no refunds on Gift Cards.